While TimeCamp’s productivity-monitoring tools, variety of time tracking features, and suite of integrations make it the perfect tool for many of its users, it’s not right for everyone. This might lead you to consider TimeCamp alternatives. Some of the most common complaints about TimeCamp are that it’s complicated to set up, difficult to use, and time-consuming to train new users. And while all of that is easy to overlook if you’re a freelancer and only use the tool for your own work, companies that hire new employees with any regularity may find that TimeCamp’s training burden has major impacts on productivity. 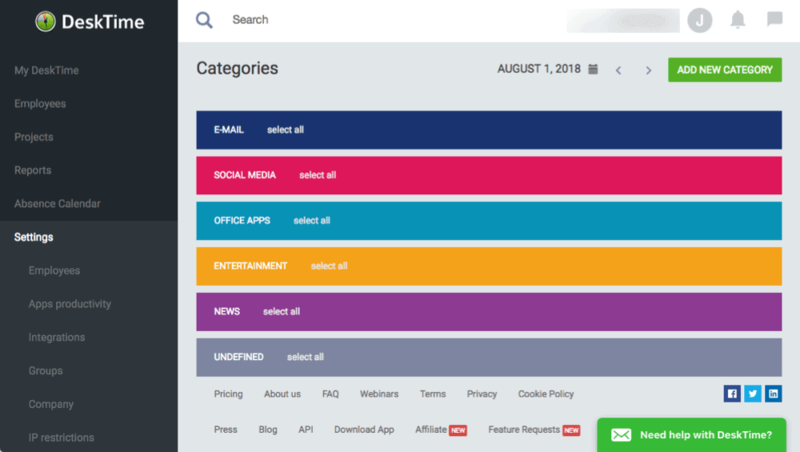 If you’re looking for a tool that offers the same powerful productivity monitoring features as TimeCamp but packed into a more user-friendly and intuitive interface, consider the following seven TimeCamp alternatives. They cater to varying sizes of businesses. TimeCamp is used by businesses of all sizes — from solopreneurs to enterprises — so we wanted to offer a variety of options that cater to different types of companies. The offer both time-tracking and productivity monitoring. Lots of tools offered only one set of features or the other. Since TimeCamp’s power is driven in part by its ability to do both, we wanted to showcase options that deliver on both feature sets. They offer at least one unique feature. Lots of time-tracking and productivity-monitoring tools have the exact same features as their competitors. We wanted to showcase options that provide features you can’t find anywhere else. Here are the seven tools that meet those criteria. Hubstaff offers similar time tracking features to TimeCamp, such as manual and automatic entries, and tracking time toward specific projects. Where Hubstaff excels is in the more unique features you don’t get with other tools. Hubstaff offers growing and remote teams a way to easily track productivity and work progress. Features like activity rates, in-depth reports, and optional screen capture provide a variety of ways to see how your team works. Using Hubstaff’s mobile app, you can actually track location using GPS, which can help field service and sales teams better record work hours. Further, Hubstaff lets you set weekly limits on how much time can be billed by individual team members and how much time can be billed to a task/project overall. This helps you stay on budget without having to keep checking in. Another advantage of Hubstaff over TimeCamp is that you can set up automatic payroll for your team. Payments can be sent using an integration with PayPal, Payoneer or Transferwise, after the end of every pay period, based on hours worked and set pay rates. Hubstaff Pricing: Free for one-user plans. From $5/month per user for the Basic plan that includes up to three users, one third-party integration, and unlimited screenshots. DeskTime is another app like TimeCamp that lets teams track both time and productivity. 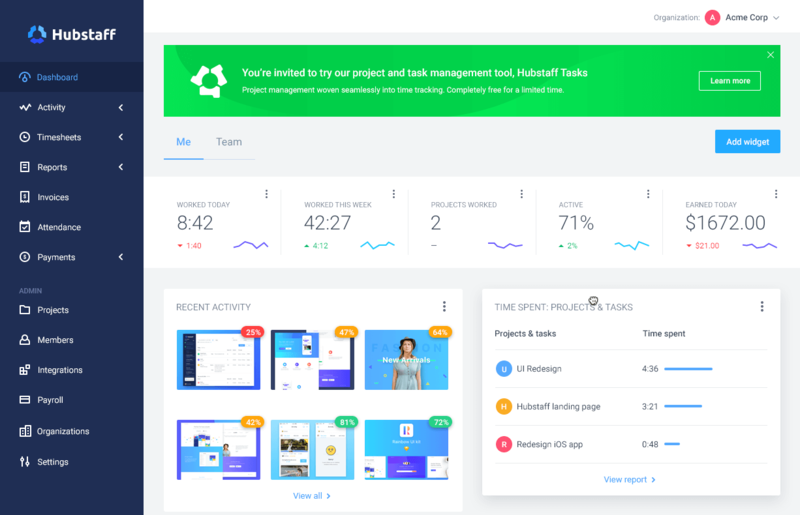 And while DeskTime has many of the same time-tracking features as TimeCamp and Hubstaff, it’s much more focused on productivity monitoring than project billing and task management. This focus led to one of DeskTime’s more unique features: measuring productivity by role. Where other productivity-monitoring tools consider certain sites as time-wasting activities for everyone, DeskTime lets managers categorize time-wasting sites by employee or team. For example, it’s natural for marketers to spend a lot of time on social media sites. With DeskTime’s customization features, time spent on those sites by people in those roles can be considered productive, while being treated as unproductive by all other employees. 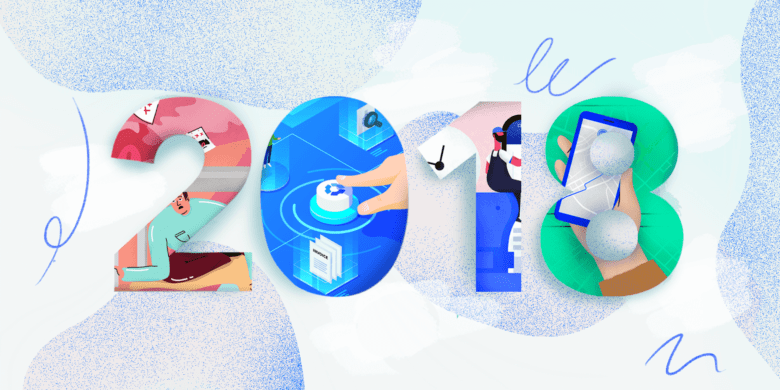 However, because DeskTime is very focused on productivity tracking, it fails to offer some of the other features that are key for time-tracking tools. It integrates with popular calendar apps like Outlook and Google Calendar to automatically categorize the time employees spend, but it doesn’t offer third-party integrations or specific features for key things like invoicing and payroll. DeskTime Pricing: Free for one-user plans. From $18/month for the Pro plan that includes up to three users, customizable productivity monitoring features, and automatic screenshots. Like TimeCamp and Hubstaff, Time Doctor offers a full suite of time-tracking and productivity monitoring features. It tracks time automatically, takes screenshots of employees’ screens while they work, and integrates with third-party platforms to simplify invoicing and payroll. However, Time Doctor offers one unique feature that helps employees self-correct their unproductive behaviors without management intervention: time use pop-up alerts. Say one of your employees is billing time to a “sales reports” task. This person works on it for about an hour before getting an email that leads to a news website. 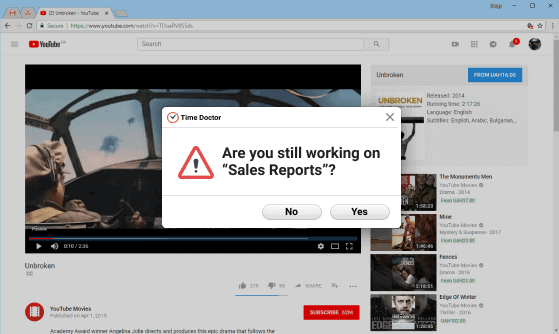 While reading news on the website, Time Doctor throws a popup asking, “Are you still working on sales reports?” This reminds your employee about the task and encourages re-focus. And while this feature could alleviate the burden of reminding employees to stay on task, it comes at a higher price tag. Time Doctor’s per-user price tag is higher than most of the other TimeCamp alternatives on this list. Time Doctor Pricing: Free for a limited-feature plan. From $9.99/month per user for Time Doctor’s full suite of features. RescueTime is a time-tracking and productivity-monitoring tool designed less for companies to monitor their employees and more for individuals to optimize their own productivity. For freelancers and solopreneurs, it provides the information needed to optimize your productivity and see where you’re wasting time while you work. For employees of a company, it gives your team the hard data they need to show you which unproductive tasks take up too much time and hamper their ability to focus on important work. RescueTime tracks how you spend your time each day, both online and offline, on specific sites and within certain applications. Use its reports to see how much time you’re spending answering emails, and look for ways to reduce that time commitment. And if there’s a site you just can’t stay off of, RescueTime offers features like site blocking to keep you focused while you work. The downside of RescueTime for organizations looking to identify their least productive team members is that it’s not really designed for managers to use in monitoring their team’s productivity. It’s much more focused on giving employees the information and tools they need to self-correct and improve. RescueTime Pricing: Free for a one-person Lite plan with limited features. From $9/month per user for the one-person Premium plan or the basic Rescue Time for Organizations plan. Designed exclusively for individuals, Qbserve monitors everything you do on your computer all day in order to help solopreneurs and freelancers see exactly where they’re spending their time. Wondering how much time you really spend on projects for clients? Want to find out what you’re earning per hour? Qbserve makes it easy to find out. Qbserve works in the background while you execute your tasks for the day, tracking every site you look at and application you use down to the second. At the end of the day, you can go through and mark each entry as productive, neutral, or distracting—as well as allocate each section of time spent to different clients and projects. Of course, this step can be cumbersome depending on how many sites or applications you use. 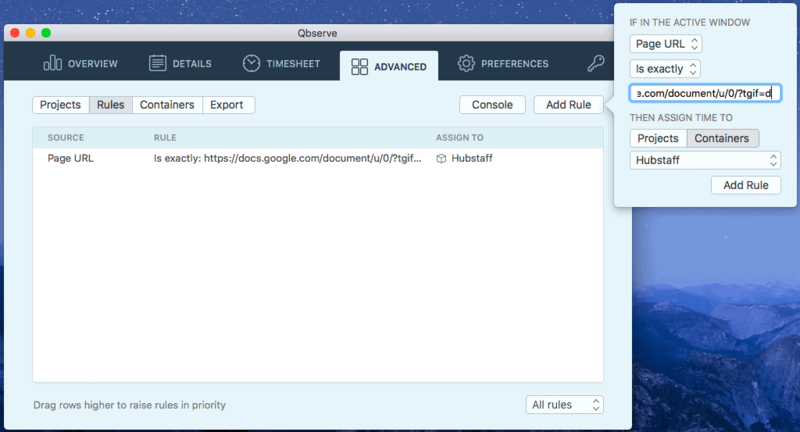 To save time in the future, Qbserve also offers a rules features. For example, say all of the work you do for one client occurs on a single URL. Set up a rule that automatically starts allocating time to a client/project after you type in that website URL. One big downside to Qbserve is that it’s only available for Mac operating systems, so it’s not a viable option for teams that work on Windows or Linux. It also lacks the business-focused features that others on this list offer, such as client invoicing and team payments. Qbserve Pricing: Get access to Qbserve forever with a one-time payment of $40. ManicTime provides automatic time tracking similar to Qbserve, but for teams. It runs in the background while your employees work, capturing all of the apps and sites used. It tracks your employees’ productivity in real-time, providing reports that give you insight into which sites are most-used when employees waste time and what hours of the day your team members are the most productive. ManicTime’s standout feature is its shared reports. If you have a client who wants daily updates on progress and billable hours, there’s no need to build and send that report every day. Just share your ManicTime report URL for the project with that client, and she can go in and see exactly what she’s being billed for as often as she wants. However, unlike other software mentioned here, ManicTime doesn’t take screenshots of employees’ screens, and doesn’t offering other time-saving features for owners and managers like payroll, invoicing and scheduling. ManicTime Pricing: Free for very limited time-tracking features and reporting. From $67 per license (user) for ManicTime’s full suite of features. If you only want to track your employees’ time and activity while they’re actively billing to a project, HiveDesk offers a solution. Instead of monitoring and taking screenshots of what employees are doing all day, HiveDesk only monitors what happens while employees are logged in as working on a specific project. This feature helps leaders and managers identify how much of their employees’ time is allocated to billable projects. If employees turn the tracking on for less time than spent on untracked projects, it could help leaders identify areas that aren’t as profitable as they could be. The downside of HiveDesk is that it doesn’t offer payroll or invoicing tools, and doesn’t integrate with popular third-party integrations, so all collected time data must be manually moved to your other billing and payroll applications. HiveDesk Pricing: From $15/month for the Mini plan that includes one administrator and up to three users. Do you have a favorite TimeCamp alternative app that we didn’t include on this list? Tell us all about it in the comments below! Jessica Greene is a freelance marketing and business writer. A former writing instructor and corporate marketer, she uses her subject-matter expertise and passion for educating others as a driver for developing actionable, in-depth, user-focused content.